You have to do what it takes and you also must develop the credentials to land you in a large corporation where you can further your talents…. I think the music business is much like any other business. You have to do what it takes and you also must develop the credentials to land you in a large corporation where you can further your talents; or you become an entrepreneur and create your own avenue. I think you get out of the music industry what you put into it and letting themselves imagine that putting a song out is enough misleads many artists. It’s still work that needs to be done. I do think what is unfortunate is that if you are an artist who is not well versed in marketing and artist development and the necessity of the tools in your career but have no one to handle it for you, the industry will present itself as much of a challenge unless you get lucky. I’m more fortunate to have Shirley Goines @Global Harmony Records working tirelessly on the business end with publishing, marketing, and etc. I’m still very much in the beginning stages with everything so I’m not sure I’ve quite gone far enough to go through any real struggles other than that it’s expensive and it takes time, lol. Britney Spears is Pop. Like, a Pop Goddess. I have literally imagined being in rehearsal with her and doing a collaboration, lol. But the things I would like to say to her I’m going to reserve for my actual meeting, it’ll happen! The creation of the song “Sorry” is actually pretty interesting. The working title of the song was “Maybe Next Time” there was originally a hook in there that reflected that title line. When I write songs it is rare that the meaning ends up remaining what it was in the beginning. 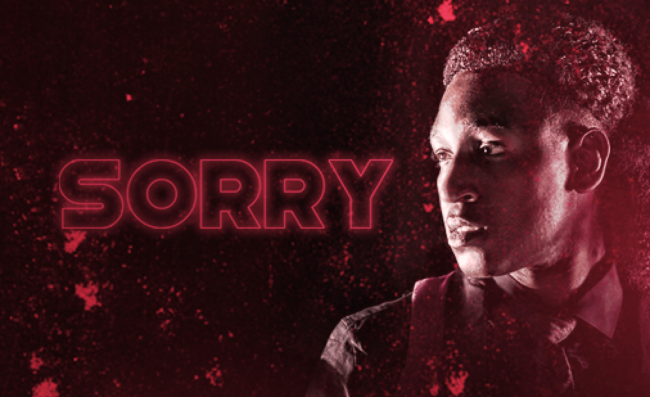 The original sentiment behind “Sorry” was an apology to a close friend of mine who was just the best friend and I took it largely for granted. This is a friendship put to rest seven years ago, hence the line – “maybe, finally you’ll see that I was young”. However, by the completion of the song the meaning still maintained the underlying sentiments but it was on a much larger scale. I realized the friend it was originally about wasn’t the only friend of mine I drug through a tumultuous friendship. The repetition with the word “maybe” is to symbolize fate. Like, “maybe that’s just how it was supposed to be”. When I say, “maybe it’s just where the rain fell that night”, I’m sort of dismissing there being any logic or real reason or explanation for the way I was or the things I did. What’s funny though, is the line from sorry originally came to me while I was walking my dogs on the gravel in the dog park and I was avoiding stepping on any dark spots for fear people had not cleaned up after their pets. Eventually I noticed I was pretty much not stepping anywhere so I looked closer to discover that the gravel was just wet in many areas because it had recently rained. When I thought to myself, “maybe it’s just where the rain fell last night” I immediately knew I needed to write a song using a variation of that line. Eventually after the song was written, when I paired it with an instrumental I really loved, I ended up dropping the working title as well as the line reflecting it in the song and making the focal point of the song an apology instead of leading with the dismissive type vibe. So then it became simply “Sorry”. In the recording process I decided to use lots of layering and reverb and overlapping effects, as well as singing layered in different octaves to represent the internal struggle in forming this apology. “Sorry” is the formation of the apology not the execution. I honestly want to say what you can mostly expect from Aryn No. 9 is some truth and vulnerability infused, Pop-hybrid brilliance! Like, all my songs have meanings or themes behind them pulled directly from my life. Some are more up front others need some decoding but my songs are REAL. There seems to be a slight disconnect often with male vulnerability in pop and hip hop save Justin Bieber (in his most recent album), and Sam Smith in Pop Music; and Mackelmore in Hip Hop. Most of my songs are pretty different but very, very enjoyable. I think in a way it will be a presentation of a new sound, but if you listen, you’ll realize the sound isn’t so new it’s just repackaged. This occurs because I let the work of my musical leaders and inspirations remain present in the foundation of my work. Underneath I think my music will remind listeners of some older elements of music that people really enjoy presented with an elegant touch of modern. The theme of the album artwork of Aryn No. 9 is high fashion. This is most exciting to me because I’m getting to work with incredible designers and photographers here in Houston to bring this project to life for me. It will also, right off the bat, allow people to see another aspect of my artistry, which is deeply influenced by fashion. As for “Pop-hybrid” it’s what I would classify my genre as if you made me classify my genre down to specification. I say that because the sounds or vibes of most of my songs aren’t what most people classify as pop but the foundation is pop. That’s the repacking I mean. Often it is because of the structure or format of the song – formulated pop music. However the sound, be it my vocal performance, instrumental, or both, will not always resemble most people’s idea of pop. I think truthfully Pop is more where my heart is than where my music is and in this album the songs allow me to express what that means. About No. 9……this is not where I’m going to choose to delve into the significance behind that number in my life because it’s just too much and it’s too soon but I will say it will blow people’s minds. The number 9 is largely significant to me but the way it’s presented as the album title, it will have duel meaning tying it to fashion. 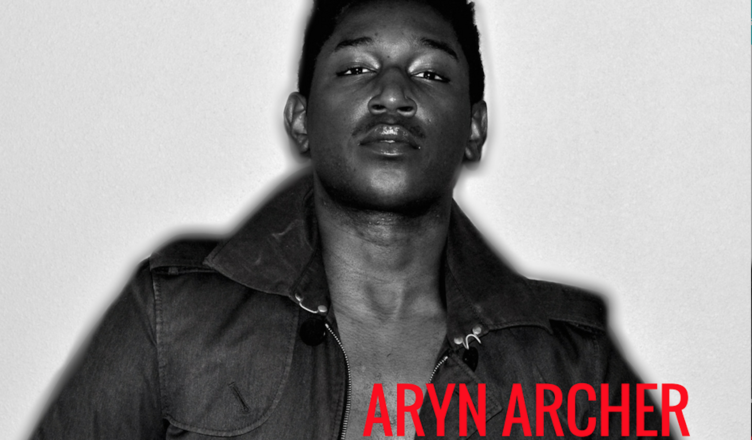 I will say what people will like the most about Aryn No.9 is that the album will have a voice. It will tell a story. This album will share familiar sentiments and display a personal struggle and journey and highlight ways to reach resolution and be strong. I’m hoping that by revealing to others my personal therapeutic method of correlating music and life and by not just giving you music that will be stuck in your head but also giving you morale to take from each song, I can really make a difference to someone through my work. Houston, Texas. Great developing music scene.